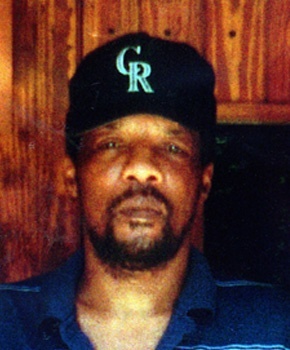 James Byrd, Jr. is considered one of the last lynching victims in the United States. On the morning of June 7, 1998, 49-year-old Byrd left his parents’ residence and was walking home alone along Huff Creek Road in Jasper, Texas. He was approached by three white men, John William King, Lawrence Russell Brewer, and Shawn Allen Berry, who offered him a ride home. Byrd accepted. The men then drove their unsuspecting passenger to a remote area and then beat and urinated on him. They tied him by his ankles to the back of a pickup truck using log chains and dragged him until he died and his body was dismembered. Portions of his corpse were found dispersed in seventy-five different spots along the two-mile stretch of country road that the men traveled. Byrd’s torso was located approximately one mile from his head. The trio left what body parts remained affixed to the truck at a black cemetery before heading to eat. Law enforcement agents used finger prints to determine Byrd’s identity. The gruesome nature of Byrd’s death captured national attention and demonstrated that racialized violence in America was not a relic of a Jim Crow past. Born on May 2, 1949 in Beaumont, Texas to Stella and James Byrd, Sr., Byrd was one of eight children. He was raised in Jasper, an East Texas town with a history of racial strife. The Greater New Bethel Baptist Church was a central part of the family’s life. James, Sr., was a deacon and Stella taught Sunday School. James, Jr. excelled in school, but did not attend college. Shortly after graduating from high school, he married and had three children. Hundreds of grievers gathered in and outside the funeral home on the day Byrd’s family laid him to rest. Among the mourners were Kweisi Mfume, the President of the National Association for the Advancement of Colored People (NAACP), basketball legend Dennis Rodman who covered the cost of Byrd’s funeral and made a donation to the family, and boxing promoter Don King who provided $100,000 to Byrd’s family for living expenses. King, Brewer, and Berry were suspected of the crime by local law enforcement agents. Jasper residents knew that King was a Klansman who donned a tattoo of a black man being lynched. Brewer was a member of a white supremacist gang. Both were sentenced to death. In 1999, Berry was sentenced to life in prison. Their sentences would mark the first time there had been a conviction that resulted in prison time for any individual who aided in the lynching of a black person in the state of Texas. King was executed by lethal injection in 2011. Byrd’s death focused the nation’s attention on the continued prevalence of hate crimes in modern America. In 2001, then Texas Governor Rick Perry signed the James Byrd Hate Crime Act into law. Byrd’s mother, Stella, was instrumental in ensuring the passage of the legislation. In 2009, the United States Congress passed the Matthew Shepard and James Byrd Jr. Hate Crimes Prevention Act which President Barack Obama signed the into law. Shepard, a twenty-one-year-old man from Wyoming, was abducted by two men, Aaron McKinney and Russell Henderson, in 1998. The men drove Shepard to an isolated area, tied him to a fence, brutally beat him and left him to die because he was gay. The new law extended the reach of the 1969 hate crime law by classifying crimes committed against people due to gender, gender identity, disability, and sexual orientation as hate crimes. The year following Byrd’s death, the City of Jasper erected the James Byrd Jr. Memorial Park in his honor. The park is a local space where black and white children are often seen playing basketball with one another. Allen Turner, “Hate Crime Killer Executed,” Houston Chronicle, September 21, 2011; “James Byrd, Jr.,” Bibliography.com, https://www.biography.com/people/james-byrd-jr-092515; “Matthew Shepard,” Bibliography.com, https://www.biography.com/people/matthew-shepard-092515; Delores Jones-Brow, Beverly D. Frazier, and Marvie Brooks, eds., African Americans and Criminal Justice: An Encyclopedia, (Santa Barbara: Greenwood, 2014).